It’s hard to believe we’ve been in business for over a year. Our “friends and family” grand opening was Sept. 15, 2017, and our official grand opening was Oct. 1, 2017. Needless to say the site launch is a little late to the party but here it is. As you can tell, the site is incomplete. For those who don’t know, my (Tom’s) professional background is building — and managing teams that build — complex websites such as Discovery.com and PBS.org. So as the “web guy” with a background in websites, I have been a little bit OCD when it comes to how the Frame Up Bikes website should look and function. But … since we’ve had a “coming soon” page up for a year now, I’ve given up on building the perfect site (well, perfect by my standards, which are much higher than anyone else associated with FUB) and decided that something was better than nothing. Look for updates in the coming weeks/months including an updated events page, posts about interesting topics and other cool (at least to us) things related not only to bikes but cars, community, coffee and many others. With that in mind, if there is something that you think is missing or you’d like to see, please email me. 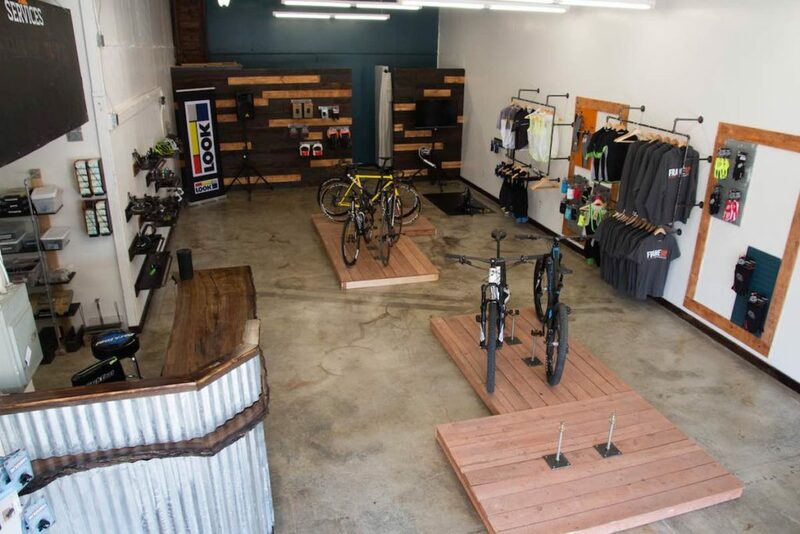 We have lots of ideas on what type of content this site should have to reflect not only the Frame Up Bikes brand but also our goals as a shop. We’d also like to thank everyone for your support this past year. 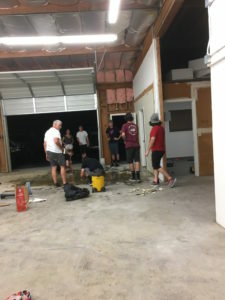 Building the shop — literally, BUILDING THE SHOP — has been a lot of work, and we’ve loved every minute of it.